Confirmed cases of syphilis have increased by 125 percent across Putnam County. Acting Commissioner of Health Dr. Michael Nesheiwat reported last week that local cases have risen from eight in 2015 to 18 last year. Dr. Nesheiwat called the increase … Please login below or purchase a subscription to the Putnam County Courier to access this content. Members of the Kent PD gather with Crew Binette as special magnetic decals are placed on patrol cars. 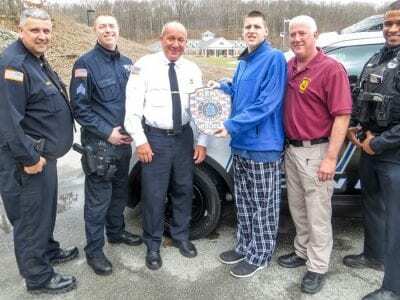 Kent Police cars and emergency vehicles are a bit more colorful these days after members of the local force decided to take the Autism Patch Challen… Please login below or purchase a subscription to the Putnam County Courier to access this content. The numbers are in and while each of Putnam’s six school districts is slated to receive more state aid for the 2017-18, school year officials say the numbers are somewhat deceiving due to Foundation Aid allowances. 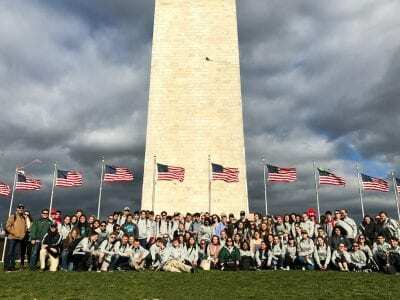 The Foundation Aid formula ensures… Please login below or purchase a subscription to the Putnam County Courier to access this content. 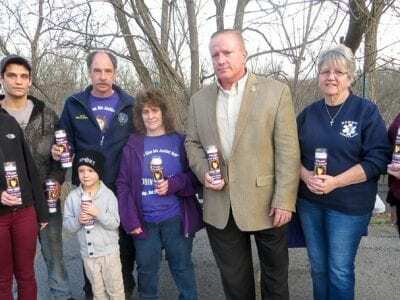 A candlelight vigil at the ShopRite Plaza in Carmel Sunday recalled the disappearance of Robin Murphy, 22 years to the day. A small group gathered at the ShopRite Plaza Shopping Center in Carmel Sunday evening to mark the 22nd anniversary of one of P… Please login below or purchase a subscription to the Putnam County Courier to access this content. Putnam’s first Deputy County Executive Regina Morini of Mahopac enjoys browsing at the fund raiser. 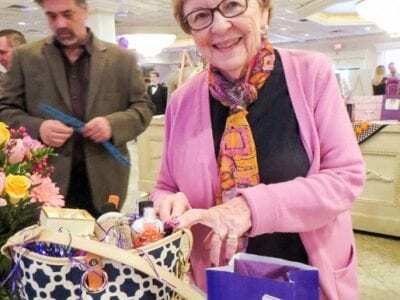 The Putnam-Northern Westchester Women’s Center assists those in need around the clock and last Wednesday evening the public said ‘th… Please login below or purchase a subscription to the Putnam County Courier to access this content. 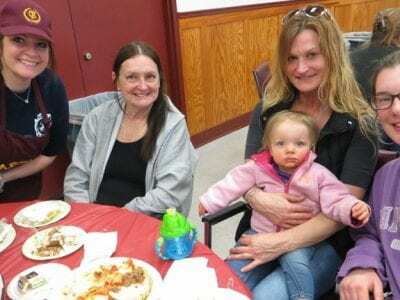 Jennifer Effron (right) enjoys the dinner along with Rachel Caravetta who is holding Efferen’s daughter, Layla and Kathy Pettey of Patterson. The group is welcomed by Gina Ianucilli. Food was plentiful and delicious at the Carmel FD headquarter… Please login below or purchase a subscription to the Putnam County Courier to access this content. Elections Commissioner Cathy Croft assists BHS senior Cassidy Grosz with her registration paperwork. Board of Elections personnel visited area high schools last week and registered dozens of upperclassmen. Elections Commissioner Cathy Croft told stu… Please login below or purchase a subscription to the Putnam County Courier to access this content. 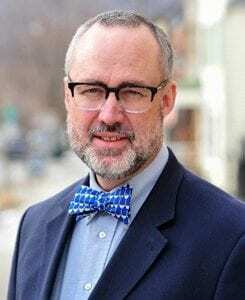 Douglas Cunningham Surely spurred by the approach of Easter and Passover, if not good government, state lawmakers and Gov. Andrew Cuomo reached agreement on a $153 billion state budget on Friday, just six days past the April 1 deadline. To th… Please login below or purchase a subscription to the Putnam County Courier to access this content. Margaret “Peggy’ Pataki, mother of former Governor George Pataki, was laid to rest Monday at the Assumption Cemetery in Cortlandt Manor. Pataki passed away April 3 at the Pataki’s home in Garrison at the age of 101. The former gove… Please login below or purchase a subscription to the Putnam County Courier to access this content.